By my count, it’s been four days since the Prime Minister and his smarmy little yuppie were exposed for what they are: liars, crooks, filthy, cronyistic, career-politician peddlers of self-interested rubbish. One of them is gone and the other remains, and I ask, why? The answer is obvious, but probably not to the sanctimonious bottom feeders in the media. I never listen to any of my employees, that’s the way it used to be, and by golly, that’s the way it should be. I threw it in the bin, she cried, and then I went back to reading my thesaurus in preparation for Question Time. Leadership is what we need in this country, that’s the first thing, and real leadership means knowing when to speak and when others should stop speaking. The Prime Minister knew for sixteen months that Todd Barclay was listening to an employee of his and did nothing. For that alone he should resign. I have no idea what any of my MPs are doing because I never listen to any of them. 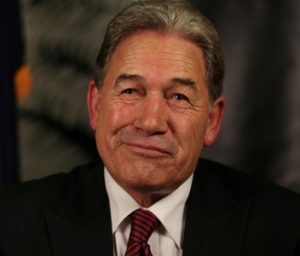 For goodness sakes I didn’t even know there were other MPs until April when someone else stood up and asked a question on behalf New Zealand First. I had to raise a point of order just to find out what the hell was going on. I’m giving the Prime Minister three more days to resign, and if he doesn’t, I’ll give him another three days, and believe me, I can do this forever.